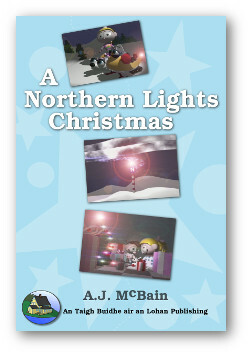 A Northern Lights Christmas is a short illustrated Christmas story based on the animated video of the same name starring the little snowmobile Little Tracker and friends. Abbey and Little Tracker come to the rescue when Storm cuts off the Christmas magic from the North Pole. Storm blows snow over the North Pole thus cutting off the flow of Christmas Magic needed to power Santa's sled. Abbey, Polar and Little Tracker manage to get the snow off of the North Pole and save Christmas. 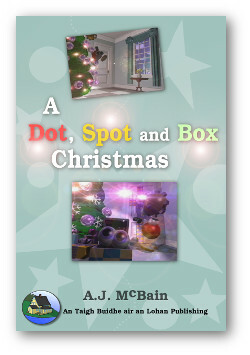 A Dot, Spot and Box Christmas is a short illustrated Christmas story based on the animated video of the same name starring Dot, Spot and Box and featuring their friend Little Tracker. Little Tracker is feeling down in the dumps this Christmas but Box has the cure! Dot, Spot and Box are three characters hanging around the Christmas tree when Santa arrives on Christmas Eve. They discover that their snowmobile friend, Little Tracker, is feeling down and Box has an idea to cheer him up. A short illustrated Christmas story. The story images are from an animated video of the same name. To purchase any of these books click a "buy now!" 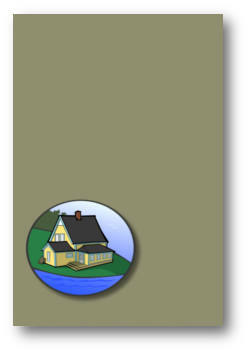 link or visit your favourite ebook retailer and select the format for your reader or device.